steak and potatoes: i do! i do believe they're finally done. 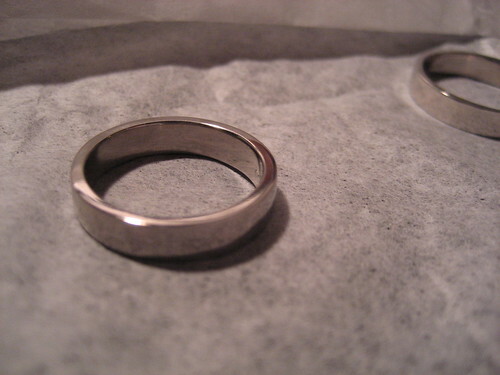 i delivered these wedding rings to the happy couple this weekend. Made of the beautiful metal, palladium. And I'll be at the wedding in May!